In the mid-2000's I began to teach the third term of a graduate core course at Caltech covering thermodynamics, statistical mechanics and phase transitions. This course, "States of Matter", originally followed the classic book by David Goodstein of the same name. The content that I covered in the third term evolved towards materials science, but with a viewpoint at the level of the atoms and electrons. At this level, with statistical mechanics, it is possible to understand the origins of the energy and entropy functions of thermodynamics. To some extent this is a topic for modern computer calculations, not suitable for a graduate textbook. Nevertheless, the explanations in "Phase Transitions in Materials" are given as basic models that summarize the key issues, and this book often approaches the free energy in unique ways. 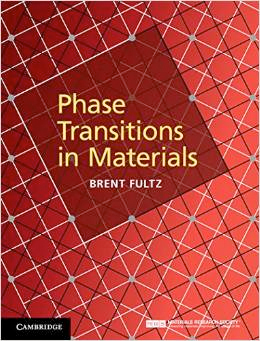 The traditional topics in a materials science course on "phase transformations" are covered by this new approach, and the book points out paths into more advanced topics. More about this book can be found here.